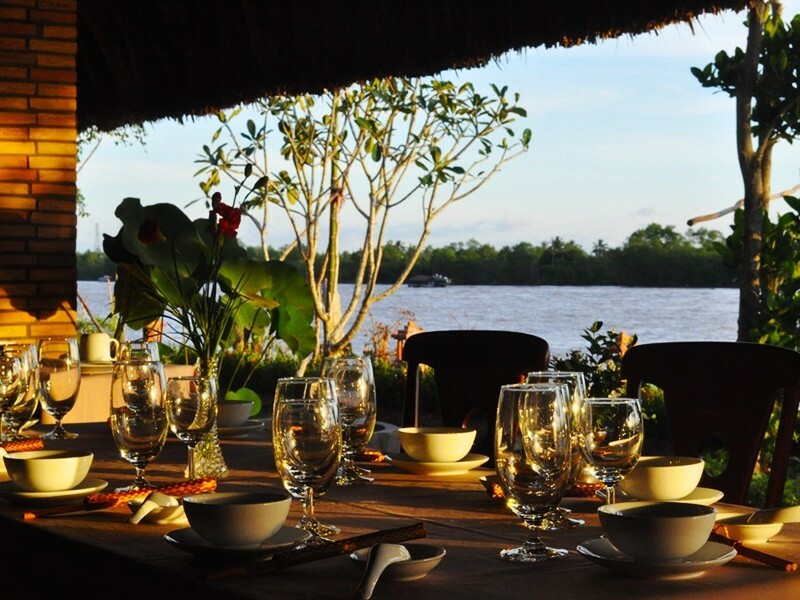 Overlooking Tien River, Mekong Lodge Riverside Restaurant offers you the very best view of waterfront life. Our restaurant and bar are open until midnight. 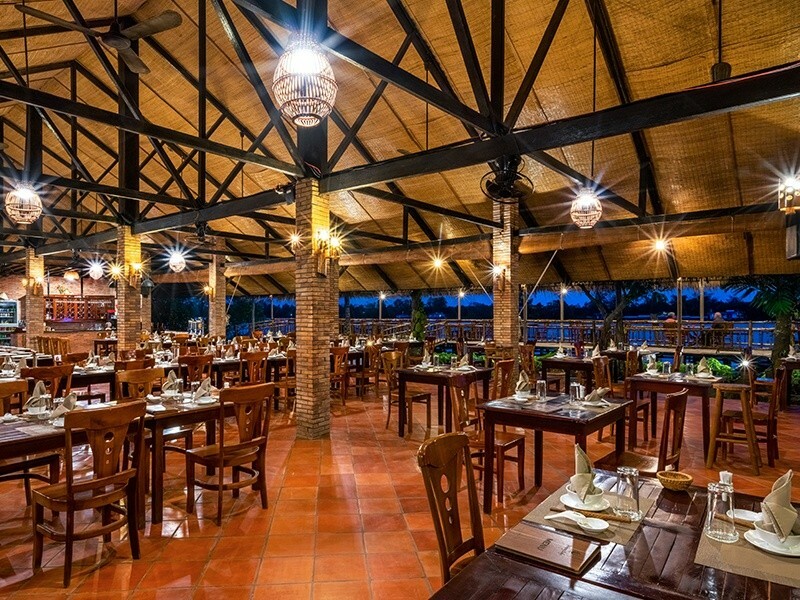 Here you can find a wide selection of international delicacies and Mekong Delta signature food such as bloating fried elephant ear fish. For breakfast, you may request to be served at garden outside your bungalows. 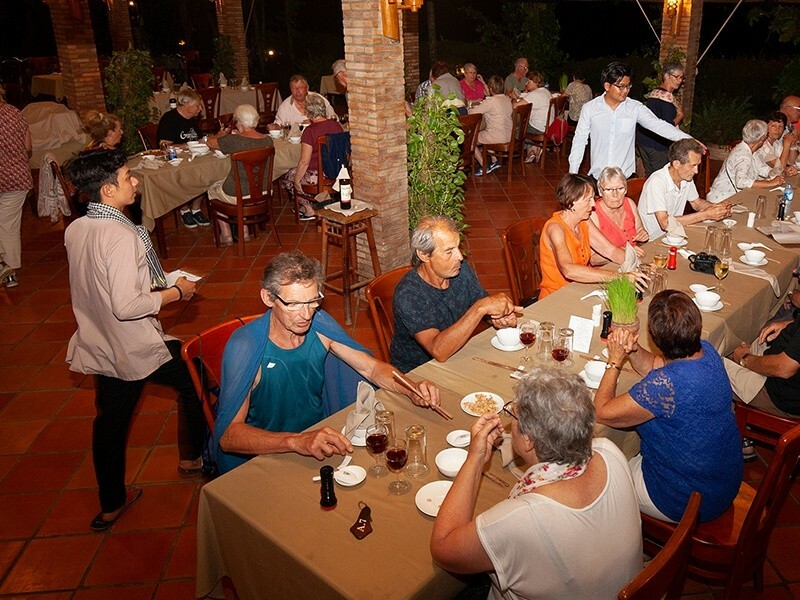 We can also arrange a romantic candle-lit dinner for you and your loved one only. 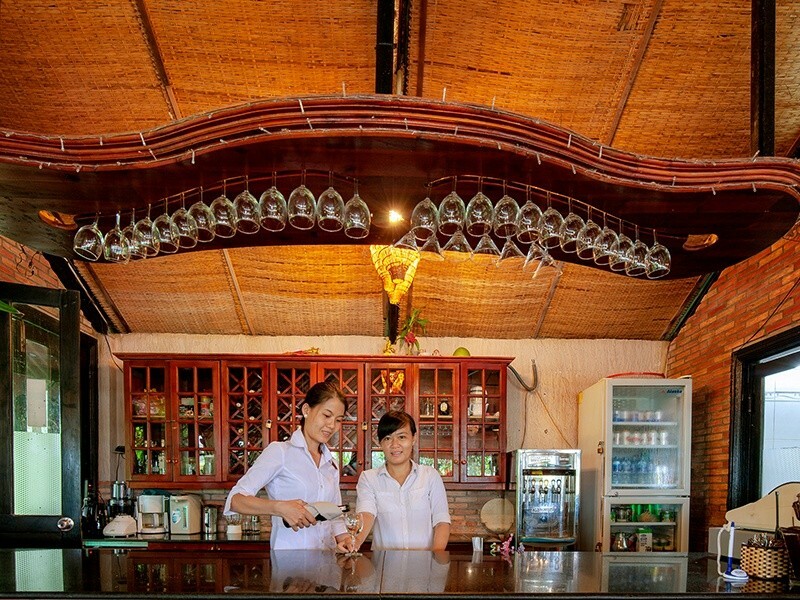 Great food, excellent wine and cocktail, superb views and pristine natural settings, we have everything you need for fabulous dining experience.